New Years Day with no one to take out I decided to join my friends out on Green Turtle for Junkanoo Celebration. 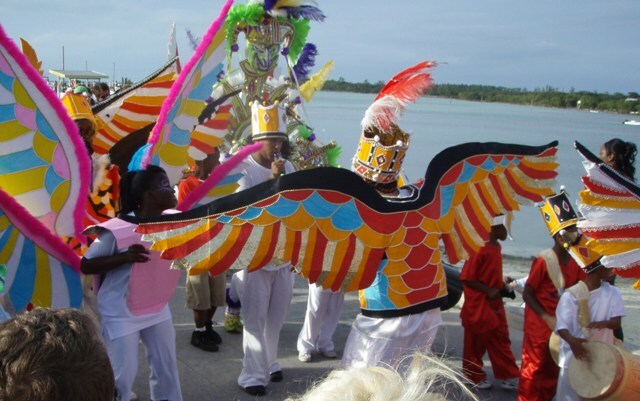 Junkanoo is a street parade with music, which occurs in many towns across The Bahamas every Boxing Day (December 26) and New Year's Day. The dance and music is intense as the constant amount of energy put out by all involved in the parade is difficult to describe. It seemed like half of the Abaco's came out to Green Turtle for the celebration. It was a great way to a take in the first day of the New Year. 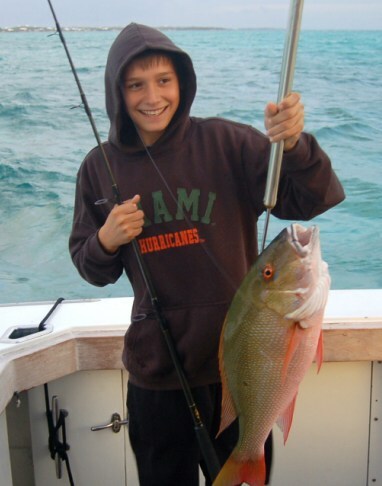 Fishing started off last Sunday with a 2 day live aboard charter. The first day we were able to get out front and troll. Wish I could report it was red hot as we lost one, a nice Wahoo. It came up and bit on a Billybait ballyhoo combo. Brandon was working the fish and unfortunately it gave a big head shake throwing the hook. We decided near the end of the day to do some bottom fishing. The inshore fishing was slow going due to the cold front but we managed to put a catch together, including a nice mutton. On the second day the cold front was in full force as the winds were cranking and the seas were up so we stayed inside to work the structure. Much of our morning we had wind against the tide making it difficult but we put in a good effort. We are looking forward to getting back out there. Escaping the northeast winters is only a short plane ride away!